Anyone who read my review of The Vatican Tapes (2015) will, hopefully, remember my comment that “watching contemporary horror movies is a pastime perfectly suited for the unabashed masochist”. 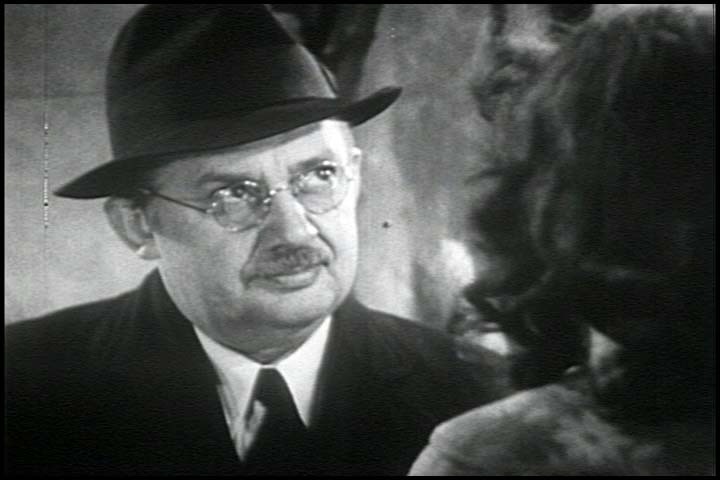 Having now watched Old 37 in the same week, I feel I ought to count myself as one of those armchair hopefuls, and the trauma of having seen two dreadful horror movies just days apart is prompting me to rethink seeing any more of them in the foreseeable future. By now you’ll have guessed that Old 37 is pretty bad, but that description is just skimming the surface of how awful it all is. One very big clue is the name of the credited director, Alan Smithee, the pseudonym directors use when they no longer want their names attached to the movies they’ve made (directors who’ve done this include Dennis Hopper, Arthur Hiller, Rick Rosenthal and Stuart Rosenberg, and it’s the regular name used by Michael Mann when his movies are edited for TV). Here, the unhappy director in question is Christian Winters, and it doesn’t take long for the viewer to realise he made exactly the right choice. From its opening in 1977 with bogus paramedic Jimmy (Simmons) being watched by his two young sons, Darryl and Jon Roy, as he kills the female victim of a road accident and then licks the blood from one of her wounds, to its modern day setting and close look at the life of teen Amy and her “friends”, who like nothing more than getting themselves involved in road accidents where someone dies and they refuse to take any responsibility, Old 37 takes so many left turns and diversions in its attempt to tell a coherent story that most viewers will probably give up trying to follow the “narrative” quite early on. The script, by Paul Travers and Joe Landes (and based on a dream Travers had), is frankly, a hodgepodge of scenes that barely connect with each other, and which at times can have no other reason for being there other than to pad out the otherwise meagre running time. It’s too ludicrous in too many places, from the subplot involving Amy’s breast enlargement, where she appears to have the operation and leave the hospital on the same day (and in a tight-fitting top), to the adult Jon Roy (Hodder) wearing a mask over his lower face to hide a disfigurement, one that, when revealed, makes him look more goofy than horrific. One of the characters is burnt alive but makes a comeback later on, Amy’s mother proves to have an “inappropriate” boyfriend, the idea of “Old 37” is abandoned in favour of a revenge plot, and any attempts at credibility are suffocated at birth. The acting is atrocious, with special mention going to Moseley, who can’t inject menace into any of the threats Darryl makes, and Alexander as the acid-tongued Brooke, a role that grates from the moment the actress tries for bitchy but ends up as merely petulant. Rating: 2/10 – with so many unforced errors in the script, and what remains proving the result of very poor judgment on the writers’ part, Old 37 is horrific for all the wrong reasons, and isn’t helped by some very poor performances; a waste of everyone’s time, and best avoided by anyone who’s even halfway considering watching this – no, really, avoid it. With Old 37 reinforcing the idea that low budget horror movies should be avoided at all costs (but not all of them, of course), it’s with a great deal of relief that Scouts Guide to the Zombie Apocalypse shows just how good a low budget horror movie can be. The difference? Well, actually, there are several. Here, the story – simple as it is – makes sense most of the time, and what narrative inconsistencies there are, aren’t so bad that they hurt the movie or bring the viewer up short. 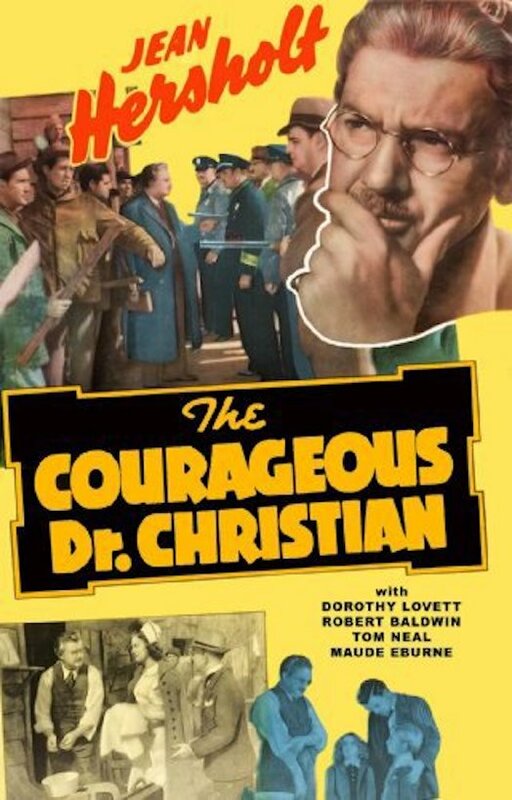 The performances are solid, and there’s a great sense of camaraderie between Sheridan, Miller and Morgan (and Dumont as well) that gives the movie an emotional core that isn’t always found in such movies. And Landon doesn’t allow the absurdity of the storyline to overwhelm the dramatic elements, keeping the more fanciful or gross out moments sufficiently in check (the trampoline sequence is a great case in point). By mixing absurdist humour with lashings of latex and well-integrated CGI gore, the script – by Carrie Evans, Emi Mochizuki, and Landon – strikes a delicate balance between the two, as well as including a handful of heartfelt moments to offset the seriousness of the group’s predicament. It’s this “human focus” that aids the movie tremendously, and keeps the viewer rooting for the scouts and their stripper – sorry, cocktail waitress – comrade. There’s also the ongoing fate of their scout leader, played by Koechner, a dogged, determined man for whom the real downside of being a zombie is that he has even less respect than when he was alive/human. While the quartet try to find the whereabouts of a secret party that Ben’s not-so secret crush (Sage) has gone to, the zombie hordes increase and in amongst the head blasting and the physical humour there are some nice visual flourishes, like the signpost that says Haddonfield is forty miles away, or the zombie whose T-shirt says YOLO. 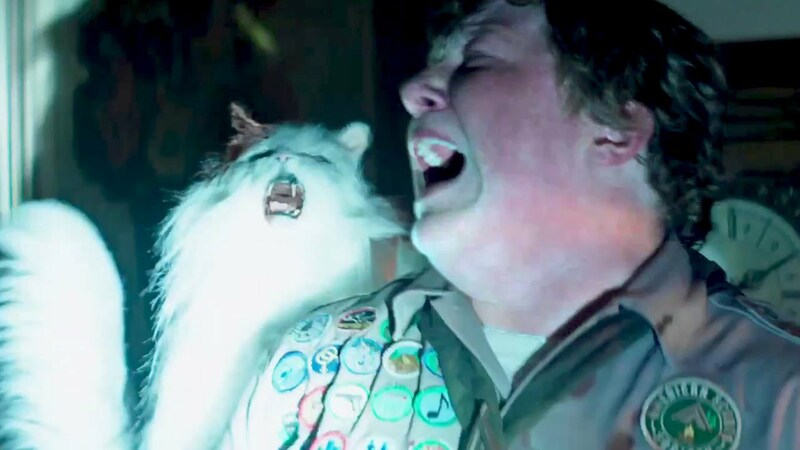 It’s little moments like these that add to the innate fun of the situation, and if you’re not amused by the idea of zombie cats (see above), then this really isn’t the movie for you. The movie treads this fine line because between comedy and horror with relative ease (though some one-liners fall flat), and as the stakes increase for our merit badge warriors, the movie sees fit to put them increasingly in harms way, and to the point where you begin to suspect that one of them might not make it through either intact or alive. 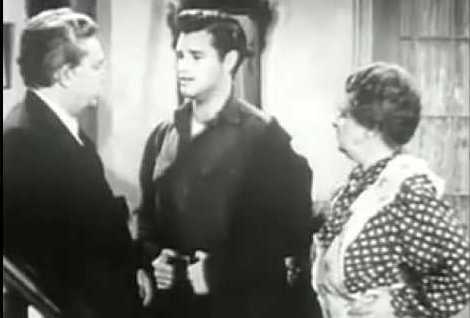 And when Augie (Morgan) reveals he’s put together a homemade bomb (“What are you, the Taliban?”), it’s at a point in the movie where a sacrifice wouldn’t be unexpected, and where the idea of only two of them getting out alive begins to hold some caché. Landon is good at this kind of narrative uncertainty, and gets the most out of both the script and the cast in these moments (though not forgetting that these kids are virgins, and when do virgins ever die in horror movies, 2000’s Cherry Falls aside, that is). For sheer unadulterated, occasionally sophomoric humour, the movie is a clever twist on an old formula, and it gives its teen cast more than enough chances to shine, and each of them does. Sheridan is on winning form as the nerdy looking Ben, and Miller is suitably abrasive as the self-centred, selfie-obsessed Carter. But it’s Morgan as the dedicated scout Augie who steals the show, his often wide-eyed and wondering features perfectly suited for the outlandish exploits he and his fellow scouts find themselves involved in. And praise too for Dumont, who despite being garbed in cut-down shorts and bust-enhancing top, sidesteps any accusations of sexism by making her character, Denise, easily more ballsy than any of her male comrades. 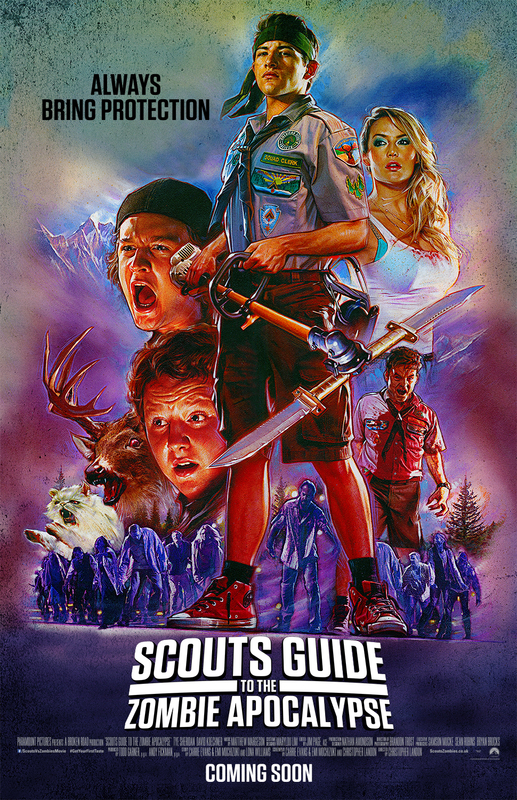 Rating: 7/10 – a hugely enjoyable horror comedy that delivers pretty much throughout, Scouts Guide to the Zombie Apocalypse has enough charm and low budget panache to meet the needs of genre fans everywhere; packed with moments to make you smile and go “Wow!” (and often at the same time), this is one horror treat that deserves cult status and to be a big hit on home video.